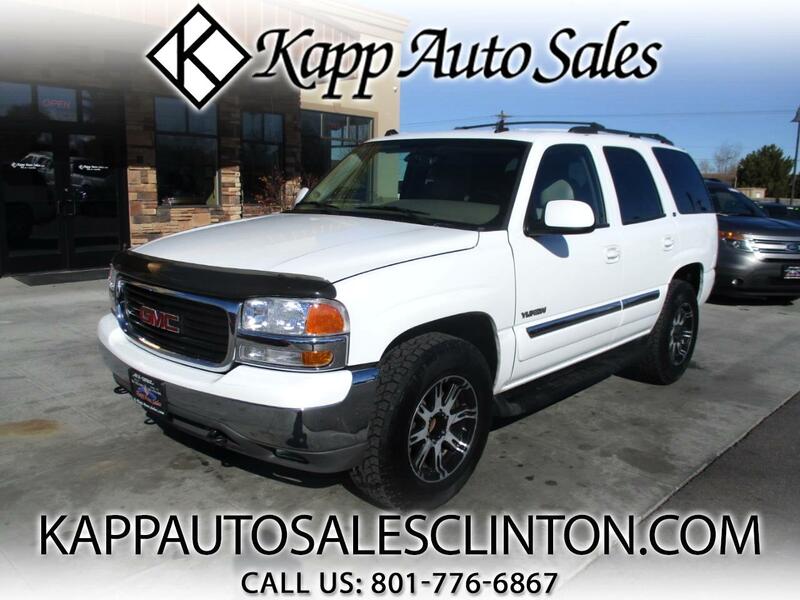 **FREE 3 MONTH/3,000 MILE WARRANTY AT LIST PRICE** CHECK OUT THIS SUPER CLEAN 2006 GMC YUKON SLT WITH ONLY 138K MILES!!! THIS SUV IS AWESOME SHAPE FOR THE YEAR AND MILES AND COMES LOADED UP WITH LEATHER INTERIOR, PWR WINDOWS, LOCKS, MIRRORS, PWR SEAT, AUTOMATIC HEADLIGHTS, 4X4, STEERING WHEEL CONTROLS, CRUISE CONTROL, CD, AUTO CLIMATE CONTROL, REAR SOUND AIR CONTROL, THIRD ROW, CUSTOM WHEELS, RUNNING BOARDS, TOW PACKAGE, AND MUCH MORE!!! Message: Thought you might be interested in this 2006 GMC Yukon.